Grantland has proposed fixes for topics as diverse as the MLB All-Star Game and Home Run Derby and Jersey Shore. This summer, the editors asked me to fix the entire NHL. I’m assuming this is because they felt topics like “the economy” and “the Middle East peace process” were too easy. But I love a challenge, and so we’re going to fix the NHL. Get comfortable — this could take a while. First, though, a word about realism. On the one hand, in order for this to work, we have to pretend this whole exercise is taking place in a fantasyland where the people who run the NHL are actually open to fixing anything, as opposed to being an old boys’ club too paralyzed by tradition and turf protection to make common-sense changes. • We can’t fire Gary Bettman. Two reasons for this one. First, nobody wants to read a “How to Fix the NHL” post that’s three words long. And more importantly, Bettman is under contract through at least 2015, and the owners seem to love him. He’s not going anywhere until he decides he wants to, and we may as well just accept that. • No contracting teams. Proposals for improving the league always seem to end up involving contraction, based on the assumption that there are too many teams in bad markets watering down the talent level. But again, we have to defer to reality here. There is no chance that a league as focused on growth as the NHL is suddenly going to reverse course and start dropping teams. If anything, we should expect another round of expansion soon. • No new U.S. television deal. Whatever you think of NBC’s coverage, it has a contract with the NHL through the 2021 season. That ship has sailed. • No rewriting the key provisions of the last CBA. We just went through a major lockout to get a 10-year deal signed, so there’s no sense pretending we can just tear it up and start all over. For example, no scrapping the salary cap or implementing sweeping new revenue sharing. • No ideas that would drastically shrink revenues. For example, no shortening the season. And also, I won’t be suggesting lower ticket prices. That would be nice, but it’s not how supply and demand works. The NHL standings are broken and everyone knows it. Awarding extra points for overtime games was ridiculous enough in an era when the league wanted to reduce ties, but it’s downright nonsensical in a world where the shootout exists. The loser point1 deadens third periods by encouraging teams to play for overtime, makes the playoff races worse, and adds confusing columns to the standings that new fans are bound to struggle with. And — in what is almost certainly a feature and not a bug — it artificially inflates everyone’s records so that all but a few teams can claim to be “over .500” every year. It’s an embarrassment. But here’s the crucial problem: The current system is so dumb that every replacement you could come up with would be an improvement. And that actually makes it more difficult to create momentum for change, because it becomes impossible to get a consensus. So let’s start by just stipulating that literally anything would be better than what we have now. Once we’ve done that, we really can’t go wrong. Everyone onboard? Cool. Here’s my proposal: We just scrap the loser point, and award two points for a win (regulation, overtime, and shootout) and none for a loss. That would allow us to focus just on win-loss records, while still tracking total points for historical comparison. Teams would record fewer points overall than during the loser-point years, but the standings would once again be comparable to the rest of the 80-plus-game era. And the concept of “finishing over .500” would go back to actually meaning something. But if I can’t sell you on that, I’ll happily accept any other option you’d prefer. Going to a three-point system?2 Sure, that works, too. Bringing back ties? Not perfect, but still better than what we have now. As long as the worth of every game goes back to being the same, we’ve made a huge improvement. And the standings would finally have some integrity again. Look, the shootout is awful. It’s a sideshow, a gimmicky skills competition that has no place deciding the results of key games in an actual professional sports league. Ideally, we’d be able to scrap the shootout altogether. But unless we’re willing to go back to having ties,3 we’re kind of stuck with it. As much as we all love marathon sudden-death games in the playoffs, you can’t have teams playing quadruple-overtime in November. And other non-shootout options, like continually reducing the number of players on the ice as overtime progresses, are every bit as gimmicky and ridiculous — maybe even more so. So we’ll grudgingly keep the shootout, but we’ll try to have fewer of them. That means expanding overtime from five minutes to 10. Sure, the ice will be a mess by the end of OT, but in most buildings, the ice is a mess in the first period, too. We’ve already scrapped the loser point, which should mean fewer games going to overtime. Between that and making the extra session longer, we should see a significant drop-off in the number of shootouts we’re forced to sit through. We’ve covered this one before, but the puck-over-the-glass rule may be the dumbest in all of sports. It penalizes players for a play that’s almost always a random accident, with no room for a referee’s discretion or any common sense. Instead, we’ll treat pucks shot into the crowd the same way we treat icing: with a faceoff in the defensive zone without the opportunity for a line change. After all, the puck-over-the-glass and icing rules are both intended to punish a player for essentially the same thing (delaying the game by shooting the puck away while in his own zone). It only makes sense that they should carry the same penalty. As an added bonus, because we’ve reduced the severity of the penalty involved, we can go ahead and get rid of the current rule’s various exceptions and loopholes. No more ridiculous huddles between officials trying to figure out whether the puck clipped the glass or passed by the benches on the way out. If you shoot the puck out, the other team gets a change, and we line up and face it off. We’re making this change for two reasons: It’s safer, and (more importantly) we’re sick of this debate and never want to hear about it ever again. We are looking in your direction, Don Cherry. Yes, it’s been around forever. Yes, every team does it. Yes, we can try to make it sound more appealing by calling it “embellishment,” which everyone apparently agreed to do at some point in the last two years. Let’s be honest: Diving is so common today because it works. It’s a relatively low-risk/high-reward activity, so players who’ve been trained to look for any competitive edge are more than happy to do it. • First, no more coincidental minor cop-outs, where the ref makes offsetting calls for both the dive and the original foul. From now on, a dive negates the original call. • Second, referees will be told it’s OK to make diving calls based on reputation. Oh, sure, that goes against the whole “impartiality” thing that we’re supposed to expect. But referees already use reputation as a basis for calls — think about the final minutes of a blowout, when any tough guy who so much as blinks at an opponent gets a phantom misconduct. We’re just applying the same concept to divers. You do it often enough to get a reputation, you’re going to pay for it. • And finally, we’re going to encourage our valued partners in the TV world to change the way they talk about diving. No more “Well, gosh, he seemed like he went down a little easy there, har har” type of commentary. If somebody dives, say so. If an NFL wide receiver started comically flopping around to draw pass interference on every second play, every football broadcast for the next week would mock him mercilessly, and that’s at least part of the reason you rarely see it. Today, a player who dives is risking a slight chance at a diving call that will probably be offsetting, and that’s about it. Under these changes, players risk a power play for the opposing team, embarrassment for themselves, and the potential for even more calls down the line. Suddenly, diving doesn’t seem like such a no-brainer anymore. And yes, all of this will result in some false positives. That’s unfortunate, but it’s far better than what we have now: a system so terrified of convicting one innocent diver that it lets everyone else embarrass the league by flopping around. Instead of watching the commissioner get booed and pelted with garbage while he Tom Joneses his way through another awkward presentation, we’re going to go with the idea that everyone else in the hockey world seems to want and let each team nominate a former player to do the honors. 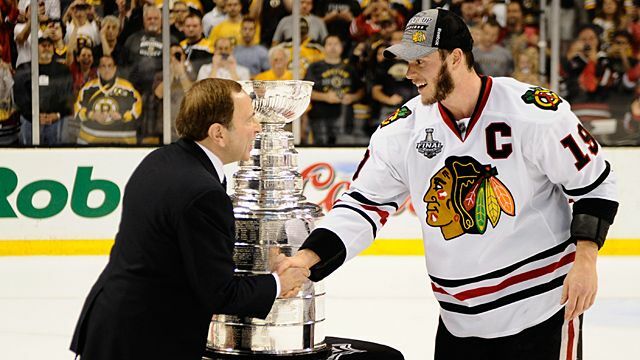 As an added bonus, Bettman seems to genuinely enjoy handing out the Cup, and losing the job would probably make him sad. See? I told you you’d agree with most of the suggestions in this part. In Part I, we eased into the job by looking at changes that many fans would probably agree with. Now we’re diving into rougher waters. Here are a half-dozen more proposed rule changes, of which you will probably hate at least a couple. NHL offense spiked after the 2005 lockout thanks to new rules implemented after the work stoppage, but it has been making its way back to Dead Puck Era levels ever since. Not everyone thinks this is bad, and it’s certainly true that there is such a thing as an exhilarating 1-0 game. There’s also such a thing as a stiflingly dull 1-0 (or 2-0 or 2-1) game, and fans have had to sit through far too many of those in recent years. We can argue over what sort of goals-per-game rate we should aim for. If the early 2000s were too low, maybe the run-and-gun 1980s were too high. Personally, I thought the early ’90s were a good compromise. That would mean we need to find a way to add about a goal and a half per game (up to roughly 7.0 from the current 5.5). • We’re not going to increase the size of the ice surface. Even if it would work (debatable), it’s just not a realistic option given how many new rinks have already been built with the old dimensions. • We’re not going to shrink the goalie equipment. Well, we are, actually (more on that later), but we’re not going to expect it to help much. This has been the league’s go-to solution to the scoring problem for years, yet it never seems to change anything. • Most importantly, we’re not just going to call more penalties, because we want our solution to go beyond simply having more power plays. That’s the easy fix, and it actually accounts for most of the 2005 post-lockout increase. There’s a certain appeal to calling the rulebook tighter, since it would theoretically create a more wide-open style of play, so there’s a place for cracking down on certain infractions, and we’ll get to that. But it’s not enough to rely on penalties to create added offense; when you do that, you just end up training hockey fans to sit back and wait for power plays. What we really want to do is increase scoring across all situations. How do we do that? Meet me in the next section. Yes, the answer really would be this simple. And we’re not even talking about a major change, like this terrible idea from a few years ago. Making the nets just an inch or two bigger all the way around would probably be enough to get us that extra goal or two per game. And the change would be subtle enough that even a die-hard fan would have trouble telling the difference. The reality is that the amount of offense skaters can produce is directly tied to how much net they have available to shoot at, and these days they barely have any. There are plenty of reasons for that — bigger equipment is part of it, but the goalies themselves are bigger, too. And maybe more importantly, they’re far better at cutting down angles than the previous generation. By adding a few inches all around, we can give some of that long-lost net back to the shooters. And yes, I realize that many hockey fans hate the idea of bigger nets. I’m sure some of them are getting ready to yell at me about it on Twitter right now. Hockey fans are naturally averse to change, and after a few decades of trapezoids6 and glowing pucks and franchise relocations, maybe there’s good reason for that. But understand that allowing the goalies to get so much bigger while the net stays the same size is already a change, and the stats reflect that. We’re not asking for something new here — we just want to restore the old balance. A relatively small adjustment is all it would take. The NHL determines draft position in roughly the same way as the NBA, MLB, and NFL do, which is to say it gives the best picks to teams that do the worst. There’s a weighted lottery for the first-overall pick, but otherwise, the picks are handed out in reverse order of the final standings. North American sports fans are so used to this approach that we barely question it. It appeals to our basic sense of fairness, since it feels like we should want to help bad teams catch up with the pack. Parity is a good thing, right? And maybe it is. But the NHL has already bent over backward to ensure parity. We have a salary cap to prevent the good teams from stockpiling talent, and revenue sharing to help the smaller markets compete. Given how valuable high draft picks are in today’s NHL, shouldn’t we have a better distribution system than simply handing them over to the league’s losers? Let’s be honest. These days, there are only two reasons an NHL team might finish dead last: tanking and outright incompetence. Neither one of those should be rewarded. 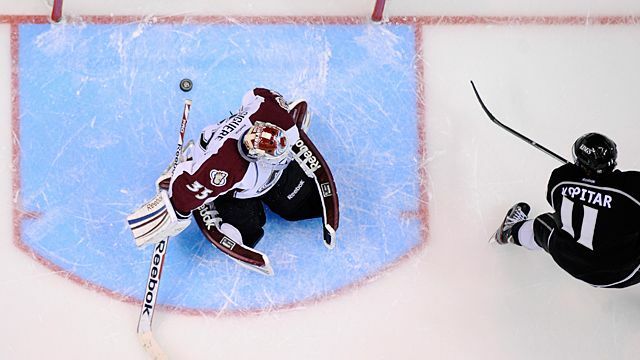 Last month, a columnist in the NHL’s biggest market criticized its team for not losing enough. That sentence should be ludicrous, but under the current system, he was absolutely right. It’s the same logic that has given rise to fan slogans like “Fail for Nail” and “Stop Winnin’ for MacKinnon.” The NHL has taught its fans to root for failure. And it’s why the current system has to change. Here’s how it works: The top draft positions will be awarded based on points earned after playoff elimination. Once a team is officially out of the playoff race, it starts the clock on amassing points toward its draft position. Bad teams still get an advantage (because they’re eliminated earlier), but now the emphasis is on winning, not just on riding out the string. It’s relatively simple, and it’s brilliant. You’re telling me you wouldn’t be excited the day the “no. 1 overall pick points” column appeared in the standings? If we were lucky, we could even have late-season showdowns for the top picks. And fans watching those games would actually be cheering for their own teams to win. Imagine that. The only downside to the system that I can see is it’s slightly more complicated and would take some getting used to. But if fans could figure out OTL and ROW, I’m pretty sure they can handle this. And a little bit of early confusion will be more than worth it in exchange for the new burst of late-season excitement. The NHL rulebook states that an interference penalty should be called on any late hit against a player who has lost possession of the puck. But do you know how many seconds is considered late? It’s a trick question, because the rulebook doesn’t actually say. Ask around, and different fans will give you different answers. Maybe it’s one steamboat, maybe it’s three. Often, the answer depends on whether that fan’s favorite team is the one doing the hitting. That’s clearly a gap in the rules, and we could fix it by making it more specific. But instead, we’re going to rewrite it completely, by asking whether the whole concept of a legal late hit even makes sense. Why is it that a hit that arrives a fraction of a second ahead of the puck is dirty, but one that comes two seconds after the puck is gone is considered OK? So here’s the new rule: Any hit that is initiated after the puck is gone is a late hit. And “initiating” a hit will mean actually starting to throw it, not just gliding toward a guy who’s watching his pass. The onus will be on the hitter to avoid contact with a player who no longer has the puck, and unless that’s impossible, the hit will be a penalty. This isn’t a new idea. Grantland contributor Ken Dryden has mentioned it, and the NFL treats hits on quarterbacks in a similar way. Hockey still allows these hits because that’s the way it has always been. It’s time to change that. Calls for the instigator rule to be abolished are a frequent feature of these sorts of debates. Let the players police themselves, the thinking goes, and you can finally get rid of the rats who are taking over the sport. There are two problems with this argument. One is that we had plenty of rats in the pre-instigator days, too. And the second is that the instigator doesn’t prevent anyone from policing anything. It just adds a minor penalty for doing so. First, let’s clarify how it should be called, because right now there’s too much emphasis on whose gloves hit the ice first. If a player follows an opponent up the ice, tugging his jersey and ignoring the puck, that player should get an instigator penalty even if he doesn’t drop his mitts until the other guy finally agrees. The same goes for players who rush over to engage after a hit. And by the same token, if two players decide they want to go, don’t penalize one guy just because he gets his gloves off quicker. We’re also going to lose the extra minor for a player who instigates while wearing a shield. The idea made some sense at the time,8 but now we want to encourage players to wear facial protection, so it has to go. The role of fighting in hockey has been debated for generations, and we won’t spend much time revisiting that battle here. Chances are you already have a strong opinion on the subject one way or the other, and nothing I say is likely to change your mind. But here’s what we do know: This debate has been going on for decades, and the NHL has always resisted calls to ban fighting. Clearly, the league believes that fighting is a crucial part of the sport (or, more likely, a crucial part of the sport’s entertainment value), and we can assume they have plenty of fan surveys and market research that backs that up. So based on our “realism” clause, proposing a total ban on fighting is out. That said, it’s impossible to ignore new research into the damage fighting can do, both physically and psychologically. So we’re going to keep fighting, but introduce a new rule that will effectively eliminate the meaningless ones, along with players who don’t serve any other purpose. Here’s how we’ll do it: We’ll institute a series of escalating suspensions for players who incur more than 10 fighting majors in a season. Your 11th fight of the season results in a two-game suspension. The 12th gets you four, and so on. The rule won’t have any impact on players like Milan Lucic or Wayne Simmonds or Jarome Iginla, all of whom drop the gloves frequently but have never recorded more than 10 fighting majors in a season. In fact, it wouldn’t affect many players at all — only 18 players had more than 10 fights in 2011-12 (the most recent 82-game season), and only 24 would have been on pace for that many in the lockout-shortened 2013. Would you be willing to give a guy like Colton Orr a million bucks and a roster spot to punch faces if you knew he’d be limited to doing it only every couple of weeks or would face spending the second half of the season in the press box? You might if you were the Toronto Maple Leafs, but most teams wouldn’t. This rule would effectively eliminate enforcers and significantly reduce fighting, while still keeping it as an occasional and relatively spontaneous part of the game — but only when it meant something. Oh, and if that ends up being the first step to ultimately eliminating fighting entirely … well, we’ll just pretend that was an unintended consequence. We’ll finish with a little bit of cleanup and one last batch of smaller changes. 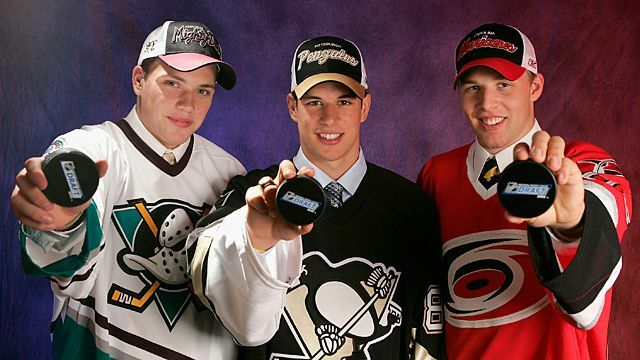 None of these would change the world, but each would improve the NHL product. And we’ll close with explanations of a few possibilities you may have been expecting to see that didn’t make the cut. While the league made significant changes to its conference alignment, it kept one aspect that has been in place for decades: a Stanley Cup final between the winners of the Western and Eastern conferences. But why? The NHL isn’t a merged entity like MLB or the NFL, where there’s at least some historical reason for dividing the sport in half. Hockey’s conferences are just geographical. So why not be willing to shake things up a bit for the final? Here’s what we’ll do: Once we’re down to a final four, we’ll reseed and play no. 1 vs. no. 4 and no. 2 vs. no. 3. If those matchups end up being inter-conference, that’s fine. While it wouldn’t happen all the time, it would open up the possibility of having two teams from the same conference face each other in the final. That means we could have a Stanley Cup final of Boston vs. Montreal, or Vancouver vs. Chicago, or Pittsburgh vs. Philadelphia. Fill in your favorite rivalry and we might get to see it play out with a championship on the line. Sure, we could also get stuck with bad matchups, but we get stuck with those now. The only real downside to a crossover final is that the lack of a guaranteed Eastern team could hurt TV ratings when we wind up with two Western finalists. But it’s not like that would result in the games being played late at night, since we already force West Coast teams to play on an East Coast schedule. I don’t know about you, but I’m willing to risk the occasional Columbus-Dallas matchup if it means we might someday see Toronto vs. Montreal. Let’s roll the dice. The NHL took a major step in this area after the 2005 lockout, making obstruction fouls a point of emphasis and undoing much of the damage done by decades of letting the game turn into a rodeo.9 But there’s been some sense of a relapse in recent years, especially at playoff time, so we’re going to put a halt to that. They don’t work. They’ve never worked. And more importantly, having a referee turn and dramatically point to center ice on a disputed goal was way more fun than listening to him stumble through a contrived explanation. 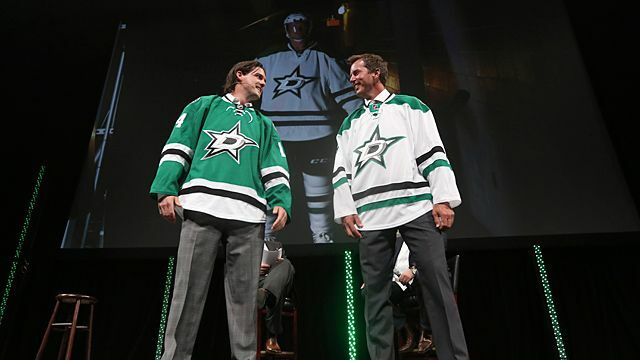 Is it too much to ask that NHL teams pick a uniform design and actually stick with it for, let’s say, five years before redesigning? Not everyone wants to shell out for a new jersey every year or two because some marketing consultant convinced you to replace your angry animal holding a hockey stick with a slightly angrier animal holding a hockey stick. You get a home jersey, an away jersey, and one (one!) alternate jersey for special occasions. And no more changing your mind about which is which every year. You’re trying to build a brand here, so pick something and stick with it. Some of you are getting downright embarrassing with this stuff. They just look better. No, I have no evidence to support this claim. Yes, it’s almost completely based on my preference for what I grew up with. What can I tell you, I’m old and cranky and this is my column, so home whites it is. The NHL has gone back to a four-division format, with teams grouped according to geographic location. (Kind of.) It has also moved back to division-based playoff seeding. Predictably, this is all being sold as a way to turn up the heat on rivalries. In short, we’re largely back to where we were 20 or 30 years ago. And that’s great, because that’s when many of the league’s greatest rivalries were at their most intense. But if we’re going to try to rekindle old-school divisional rivalries, then we’re going to have to bring back old-school home-and-homes. That’s right, we’re going to tell the schedule-maker to give us more back-to-back games between division rivals. And here’s the key — those back-to-back games are going to be on back-to-back nights. No more of this “two random days off between games” nonsense. You play a game in one city, you get on a plane, and you play the next night in the other city. The quick turnaround should keep the bad blood flowing, and the travel will make the players tired and cranky. The players may hate it, but that’s fine. A real rivalry needs a bit of hatred sprinkled in. 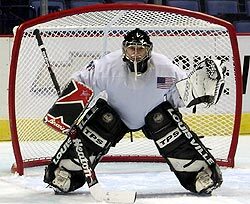 The NHL has tried to regulate goalie equipment for years in an effort to increase scoring, and is promising another crackdown this year. It never seems to help. Luckily, we already fixed the scoring issue by making the nets bigger, so we don’t have to go overboard on the equipment. We’ll still reduce it so that Corey Crawford’s leg pads don’t reach his armpits, but we don’t have to rely on the changes to have much impact. You could make a strong argument for scrapping the salary floor altogether (or at least drastically lowering it), since the escrow system guarantees that low-spending teams can’t take money out of the players’ pockets. But we said we wouldn’t make drastic changes to the CBA, so the floor stays. Stop doing that, NHL teams. As per fan policy, we hate it. So we’re going to mandate that every announcement of a new player contract include all relevant information. And yes, that includes no-trade clause details. Ideally, this would mean we’d force teams to get specific on injuries. But we’ve been told repeatedly that the games would descend into anarchy if we did that, with players immediately targeting injured players like lions descending on a hobbled gazelle. Never mind that many injuries are fairly obvious and the targeting doesn’t seem to happen. NHL teams do not want to tell you what’s wrong with that guy over there with the bone sticking out of his arm. It’s top secret. So instead, let’s just drop the upper/lower distinction altogether. Specifying upper or lower body doesn’t add any clarity for fans, and it just reminds us that the NHL can’t be bothered to give fans the same information that other leagues do. If a guy’s injured, just say he’s injured and move on. The Winter Classic is cool. An occasional Heritage Classic (the Canadian version) is fine. Six outdoor games in one year is ridiculous overkill. This is why you can’t have nice things, NHL. So we’re limiting outdoor games to two — one in the U.S., one in Canada. These games mean something today; let’s make sure it still feels that way in a few years. And finally, here’s a quick look at some of the things you may have expected to see on this list that we didn’t end up changing at all. Banning all hits to the head — I’d love to see a plausible way to make this happen, but I can’t come up with one. A blanket ban that puts all the onus on the defender just doesn’t seem workable given how easily a last-second shift by the puck carrier can change a clean hit into a head shot. Coach’s challenge — Neat idea, virtually impossible to implement. There are just too many “what ifs” involved to make it worthwhile, given that the sort of missed calls most people point to when the subject comes up are actually very rare. Eliminating staged fights — Everyone wants to eliminate staged fights, but nobody seems to know exactly what that means. They usually point to scraps that happen right off of a faceoff, but those are often some of the most meaningful fights of all. Besides, if you tell players they can’t fight after a faceoff, they’ll just wait a few seconds. And that would look silly. What people really want is to eliminate pointless fights that serve no purpose beyond padding PIM totals. And we’ve already done that by more or less eliminating enforcers. So staged fights can stay. 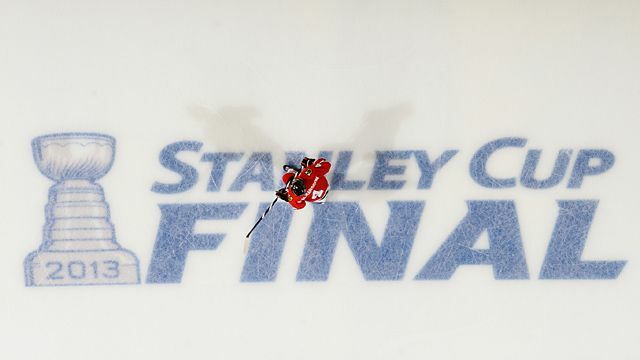 Fixing the All-Star Game — The NHL All-Star Game is terrible. It’s also beyond fixing. We’re going to just accept that, do our best to ignore it, and hope that someday it goes away. Overhaul the suspension system — It doesn’t work. Do you know what else won’t work? Every other possible system. The fact is, we’ll never get everyone to agree on how league discipline should work because nobody actually wants it to work, at least when it applies to their own guys. So we’re going to have to just shrug and accept that everyone will complain about this until the end of time. So there you have it. 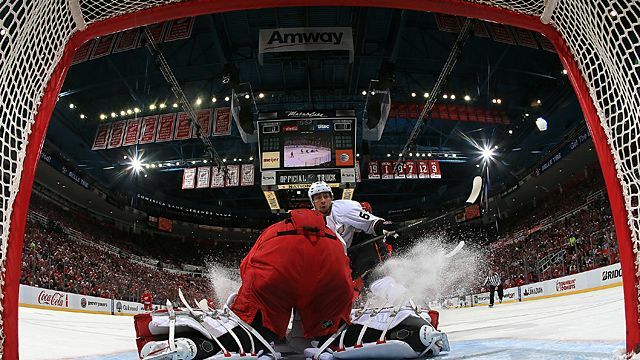 A revamped NHL with more scoring, less diving, and fewer shootouts. We changed the rules on late hits and icing, and we’ve reduced (but not eliminated) fighting. Teams can no longer snooze through regulation to earn a bonus point, and bad teams will have to win to earn the top draft pick. If it all goes according to plan, we’ll be left with a sport that’s both safer and more exciting. We’ll have made it easier to attract new fans, but without any radical changes that would make the game unrecognizable to diehards. Oh, and we made Gary Bettman sad. If you don’t agree with anything else we did, that should at least count for something. The NHL awards a single point to a team that loses a game in overtime or in a shootout, meaning games that go into overtime are worth a total of three points in the standings while games that end in regulation are worth just two. The rule was originally meant to encourage teams to go for the win in overtime rather than play for the tie. There are no more ties in the NHL, but the rule has remained because … well, nobody knows. Many fans have suggested making all games worth three points. Teams would get three points for a regulation win, two for an OT/shootout win, one for an OT/shootout loss, and nothing for a regulation loss. You’d have all games worth the same amount of points, and you’d encourage teams to go for the win in regulation. Which I am, but the majority of fans don’t seem to be. No-touch icing is used in international play, as well as in most of Europe and in many North American amateur and minor leagues. The NHL’s version is more exciting but occasionally produces horrific injuries like this one. Other league executives presented the Cup before Bettman, but it was never made out to be a big deal. They just handed over the trophy and left. The shape behind the net that was supposed to cut down on goalies handling the puck. Gold has since posted the slides from his presentation. Because in theory, fighting while wearing a visor would be an advantage. The NHL has always had rules against clutching and grabbing, but over the years the officials stopped enforcing them. Watch any clip of a game from the mid-’90s and count the number of obvious penalties that go completely unnoticed. Buyouts count against the cap, so a team could reach the floor based on buyouts even though it was spending less than that on the actual roster.